May/Brendan will greet you upon leaving the gym to give you the Go-Googles. 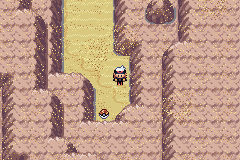 You'll now be able to make your way through the desert on Route 111, so begin heading in that direction by way of Route 112 to the east. Hop down the ledges to your right (grabbing the nugget if you've yet to do so) and make a quick stop at Fiery Path by taking the stairs to the north. 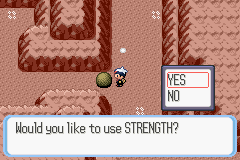 Now that you can use Strength outside of battle, push the boulder here out of your way. 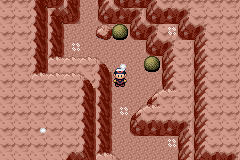 Push the boulders in a way that allows you to the north chamber, where you'll find in an Item Ball. 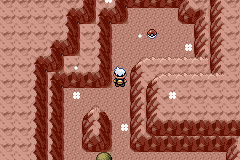 Now push the boulder south and give yourself access to the south chamber, where you'll find a Fire Stone in an Item Ball. If at any point you block your path forward with the bouldrers, you can exit Fiery Path and enter again for another try. 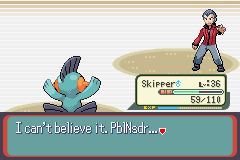 Make your way towards the desert on Route 111. 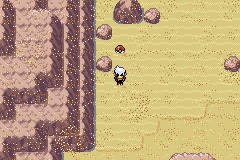 Anywhere in the desert you can leave footprints, you'll have a chance of encountering wild Pokémon. 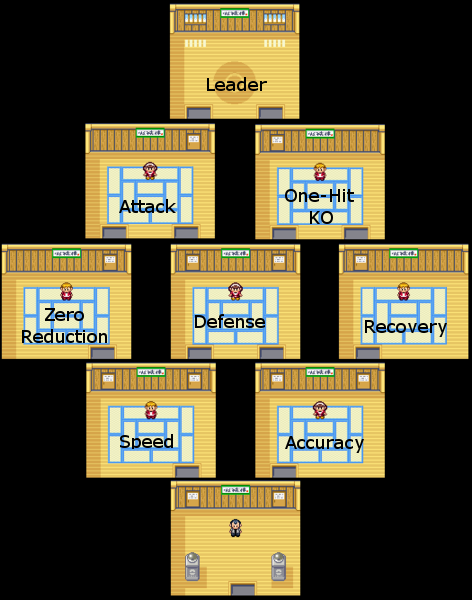 There's a total of 5 trainers here, and all battles will be affected by Sandstorm for the first five turns. 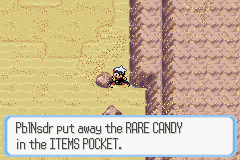 Directly north of the desert enterance you'll find a Stardust in an Item Ball. The next Item Ball is in a valley in the southwestern most part of the desert. You can open it to find TM37 - Sandstorm. 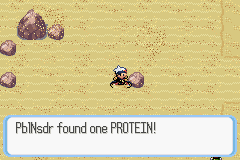 You'll find a Protein hidden in a rock in the northern half, and a Rare Candy hidden in a rock along the eastern mountain face. 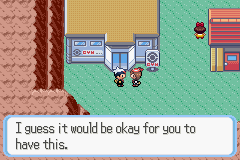 One more Stardust can be found hidden in a rock that a trainer is running circles around. Once you've finished collecting items, head to the northeast corner where you'll have a choice of two fossils. 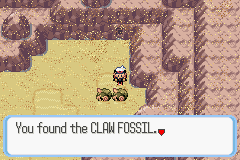 The left Root Fossil will become Lileep and the right Claw Fossil becomes Anorith. Take your pick carefully, as the one you don't choose will sink in the sand and won't be obtainable. 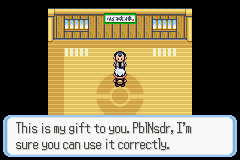 After grabbing a fossil make your way to Petalburg City to face your father, who is the gym leader there. 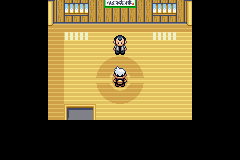 The quickest route back is taking the southern exit of the desert and going west once you reach Mauville City. 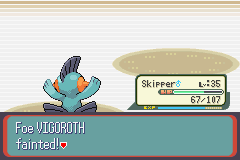 Once in Verandurf, take Rusturf Tunnel back to Rustboro. Go south through Petalburg Woods and back east to make it to Petalburg. 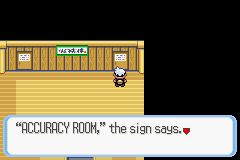 Enter the gym when you're ready.